I'm a wife and mother of 3 daughters and one son. Having my first daughter, Alexandria, at only 23 weeks gestation really changed the course of my life. I left my Accounting job to be a full-time mother. Then we made the decision to homeschool. I enjoy everything creative. I am passionate about the Lord, my family, words, fabric, cooking, turning anything "useless" into a treasure, and encouraging others to live in victory. Even making the most modest income from my writing is one of my goals. Sharing my story and the lessons I've learned is my main priority. 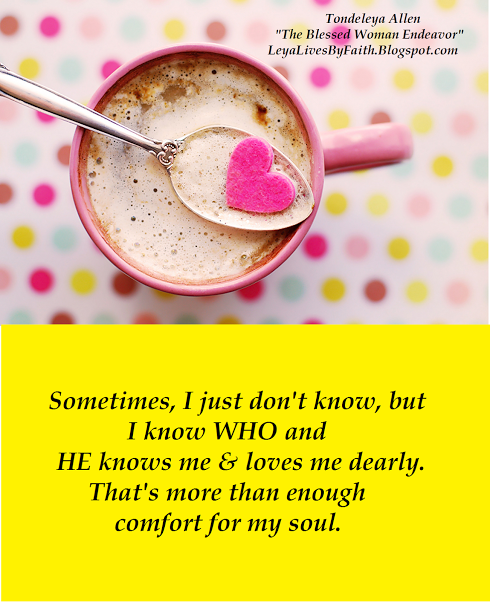 Having my testimony resonate with other women means a great deal to me. 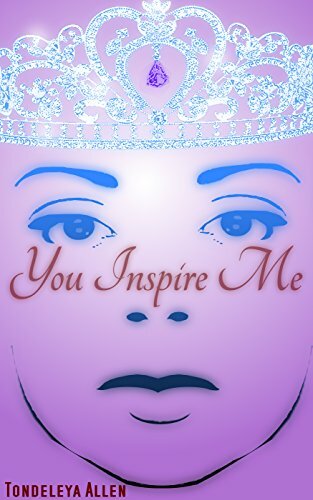 Currently, the books I have published are inspirational books. However, the first books that I wrote, many years ago, were self-published. My husband designed the covers and would have the pages printed and bound at a local print shop. One was titled "Loving You Mantra." That book of inspirational essays had some poetry thrown in the mix. 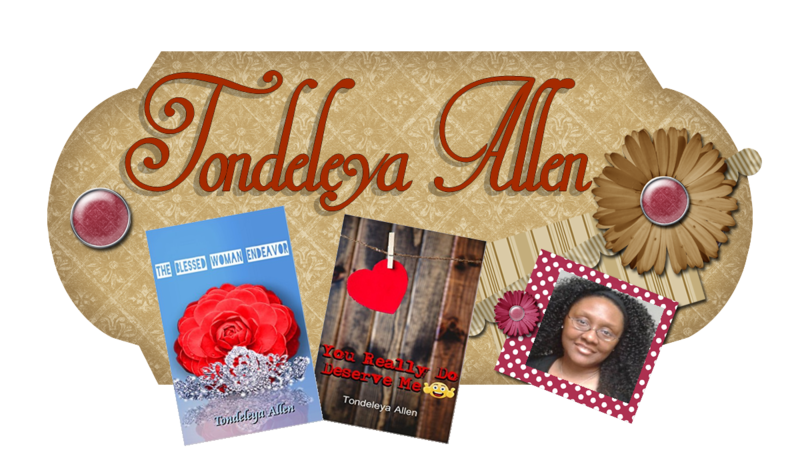 The other two books that I wrote in my early twenties, "Forever Men & Queens Indeed" and "Honey In My Tea" were fiction. I have been writing inspirational pieces since I was at least 10 or 11. I have always wanted to encourage and teach others. Using my writing to reach others has always been second nature. 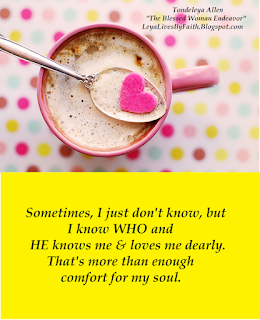 Many times in my life, I have felt alone, misunderstood, and confused. And I just don't want others to feel that way. So, I've always wanted to reach out and let people know that they are not alone. 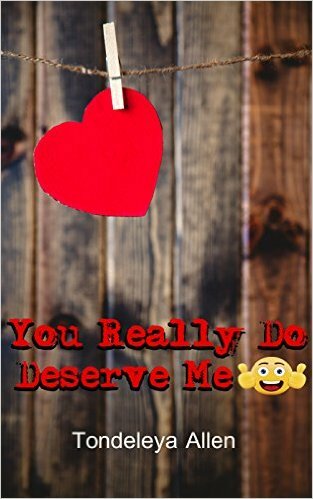 I was 18 when I decided to pursue writing as a career. Through the years, I've allowed life, bills, uncertainty, and expectations from others to take me so far off course. I'm glad to finally be doing what makes me happy. I often think "It took you long enough." Sharing my life experiences and everything that God is still teaching me is why I write. I write to give a piece of myself to others and to connect with them. I write to inspire my children and to show them that the Lord wants us to be builders and encouragers. The Lord wants us to use our lives, even the pain, to help others. Right now, I'm working my way up to full-time. 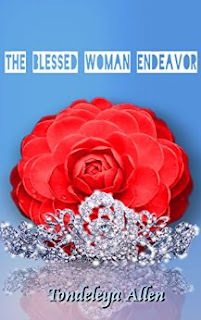 When I was working on "The Blessed Woman Endeavor," I scheduled time to write every morning. It was important to get those first ideas down on paper before the entire house got busy. We're a family of six. So when everyone wakes up, "family stuff" takes center stage. Just living life and observing others living inspires me. Outlines always work best for me. My husband will tell you that I'm more than a little analytical. For me, outlines take me all the way back to high school papers. Outlines just seem to make the job easier. I guess I just can't get away from that. Every now and then I remind myself that I should try to relax a bit and see where that takes me. At this age, I find more freedom in just being me. I try not to second-guess myself or my style. I realize that what I have to offer is not for everyone. That thought used to hold me back from giving my all and putting forth my best effort. Now, that's not an issue for me. I can completely be myself. Before I could even start writing my latest book, I had to sort and organize at least seven years worth of chaotic notes. I had hundreds, if not thousands, of little scraps of paper with inspiration given to me while I had been washing dishes or vacuuming. There were many moments when I felt like throwing away all of my notes. Starting fresh seemed like a better, easier option. My latest book was written during a really difficult time in my life. Some major life changes, family upheaval, relocating, and deferred dreams made it extremely difficult to finish "The Blessed Woman Endeavor." Spiritually, I was in the fire. My husband and I affectionately call this time of trial "The Hunger Games." Some days, it was all I could do just to write one paragraph. I was praying for strength just to make it through the next hour. Editing comes easy for me. Reworking a phrase. I've actually said many times that I would probably make a good editor. When I do read, I really enjoy business, entrepreneurship, and marketing books. I enjoy Jim Rohn's work. I have always preferred actual books to eBooks. Books have always been a major part of my life. As a little girl, I loved my dictionary, thesaurus, and my Britannica encyclopedia. The experience of holding a book in your hands, turning the pages, slipping in a bookmark to keep my place, finding just the right book in the bookstore, and writing my name on the inside of a newly purchased book is a joy unlike any other. Most definitely. I think the colors of a cover draw people in and also set the mood before the book is even opened. My husband, Aristotle, who happens to be a very accomplished and talented artist, designed my covers. The Holy Bible is my favorite book. The Lord speaks to me and inspires me with His words. My strength comes from taking time to read every day. “His purpose for me will be fulfilled. No person, power, current obstacle or a million NOs can stop it. This beautiful, beautiful life is not missing a thing." 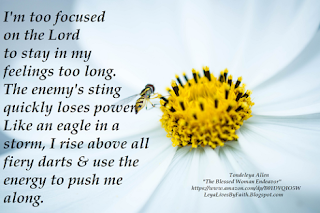 This line is from "The Blessed Woman Endeavor" and it still inspires me on my daily walk. "The Mirror Has Two Faces" with Barbra Streisand. I love romantic films. I really identify with the main character's strained relationship with her beautiful, self-absorbed mother. In 5 years, I hope to have a few more books published. I hope to have a larger audience of women of faith. I hope to make a difference by sharing inspiring lessons and ideas. A big thank you to Tondeleya for sharing a bit of her busy life with us. Looking forward to many more books.